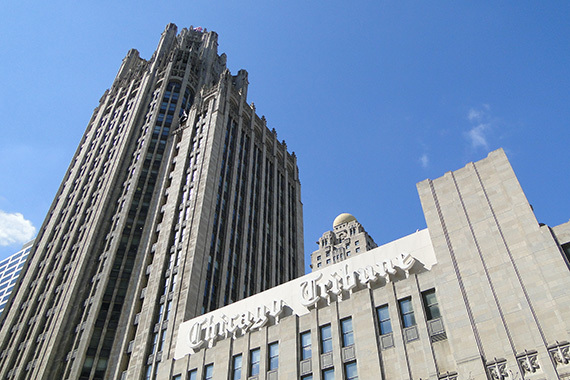 From the Los Angeles website: Los Angeles-based CIM Group has agreed to buy Chicago’s iconic Tribune Tower for close to $240 million, Tribune Media announced Tuesday. The deal, which is part of Tribune’s ongoing $1 billion real estate sell-off, is slated to close by the end of September, the New York Times reported. CIM’s plans for the 1920s-era, 35-story landmarked property were not immediately clear. The $240 million price comprises $205 million paid in cash at closing plus an additional payment of up to $35 million contingent upon the satisfaction of certain conditions. 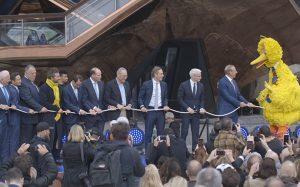 The building totals 740,000 square feet, which equates to a sale price of $324 a foot. In L.A., Tribune is looking to sell 25 acres of developable land in downtown’s Arts District and made a deal in June to sell the Los Angeles Times headquarters, at at 202 West 1st Street, to Canadian real estate investment firm Onni Group for an undisclosed sum. Meanwhile, CIM has been actively in development mode over the past year. The Wilshire-based firm recently broke ground on a mixed-use project on the 1.3-acre West L.A. site at 11800 West Santa Monica Boulevard. The 147-unit development, dubbed Westgate Santa Monica, will have 40,000 square feet of retail and amenities. Avi Shemesh, co-founder and principal of CIM, said the company is now looking to expand in the Windy City.